Words by Fiona Symington-Mitchell. 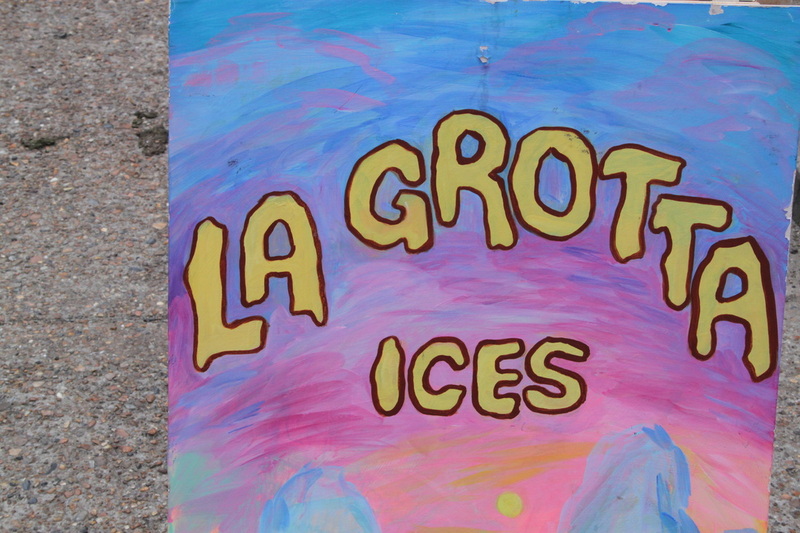 Photos courtesy of La Grotta Ices. Kitty Travers loves ice cream. From travelling the world in search of new flavours to her excitement at the arrival of new seasonal fruits, hers is a passion of a first love. Slightly giddy, very infectious, and like her ice creams, the real thing. Her passion for ice cream started early.“I had a waitress job in Cannes and I discovered a little ice cream shop. 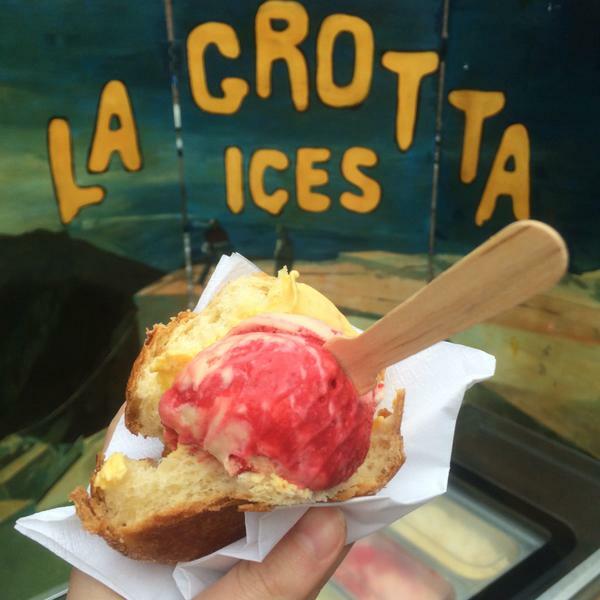 This was ice cream made from the fruits of southern France and local sweets, where the flavours changed every day. And I thought how do l make this?” The place was called Vilfeu, an ice cream parlour just off the Promenade de la Croisette in Cannes. Over a decade on and her passion shows no sign of waning. In fact, like a true romance - her fascination, delight, and dedication to her craft has led her to seek out peach ice cream in Texas (you’ll see why later), to enjoying Fior di Latte in Scotland (it is made with real butter). Such is her passion that she tells me, “even if I wasn’t selling it, I would still be making it and eating it”. 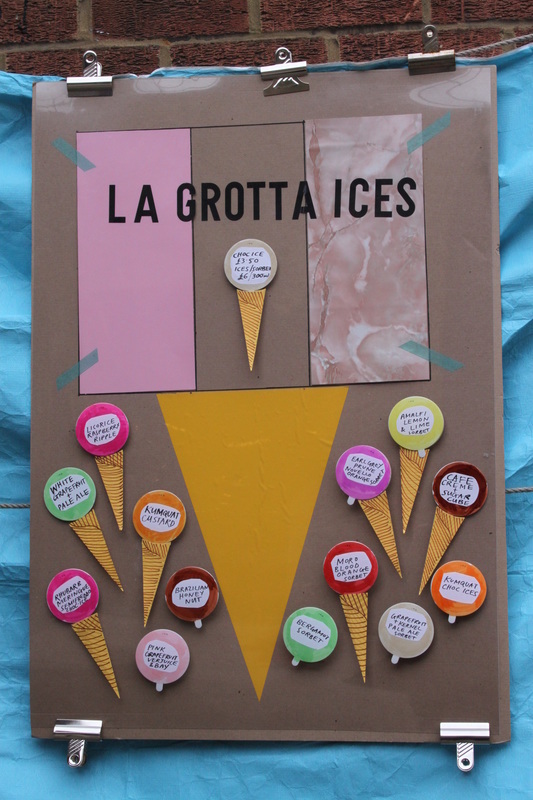 After training as a chef in New York and working with Mario Batali at Otto, where she got her first opportunity to experiment and truly indulge her passion for ice-cream, she returned to London, working at St John Bar and Restaurant before launching La Grotta Ices in 2006. Heralded as one to watch in Coco: 10 World-Leading Masters Choose 100 Contemporary Chefs (she was nominated by Fergus Henderson), her gift for flavours has always been obvious. Sold most Saturdays at Spa Terminus, her ice creams are true artistry with each one revealing a delicacy and freshness of flavour. All are produced by hand in her small workshop in Lambeth. 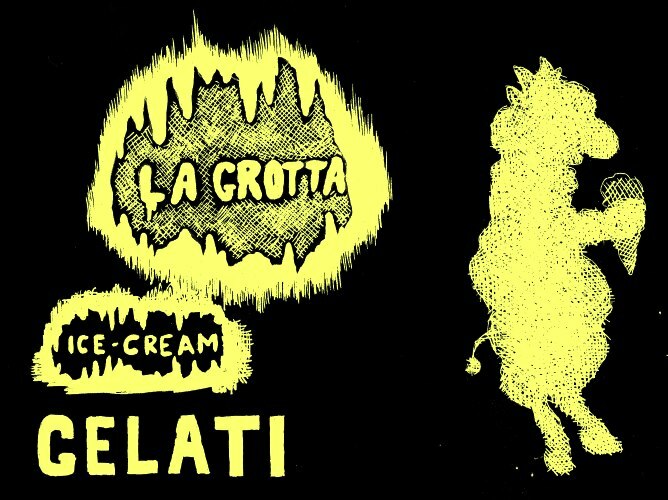 Her spectrum of flavours is not simply seasonal and inventive but show a playfulness and yet skilful blending of different ice cream traditions from the gelataria of Italy to the pistachio and mastic ice creams of the Middle East. Depending the season, you might find nocino (green walnut liquore - “it's like butterscotch and coffee with a touch of bitterness” ), chocolate treacle, or apricot, noyau (kernel found inside stone fruits) and forest honey ice creams, as well as yellow peach and basil sorbet. As she shares, “what I enjoy most is the arrival of new fruits in season and the variety, quality and smell of them, and the challenge of turning that into something that you can take a mouthful of and ….” This unfinished sentence perhaps says it all - an infectious delight, where flavours linger to be stored as sensory memories. To achieve this, she only works with trusted suppliers of whom she includes her neighbour at Spa Terminus, John & Elena Fruit & Veg Company, as well as Leila McAlister of Leila’s Shop, and a contact from Naples, Italy who travels in a white van to London every week with her fruit. Each flavour takes three days to craft (she makes up to eight a week), with Kitty using social media to publicise what she will bring to market. She only sells her ice creams when it is 14 degrees and above, telling me that below this temperature, the taste is not as good. As for her ideal ice cream, she aspires to create the perfect fresh peach ice cream: one that captures the delicate essence of this fruit. “I want to create something where the whole custard smells of peaches and tastes of peaches.” Perhaps if we’re lucky, she’s perfect such a recipe in time for the cookbook that she is currently writing. 40 Maltby Street has the most delicious wines. For ice cream, my favourite place is Damas Rose on Edgware Road. It is a small Syrian cafe that handmakes the most delicious pistachio and mastic (a pine-tasting resin) ice cream. There’s a lot of little businesses that are really great but the one’s I find most inspiring are those with a clear vision such as Leila’s Shop in Bethnal Green run by Leila McAlister and Darina Allen’s Ballymaloe Cookery School. Fruit and vegetables from John & Elena at Spa Terminus, as well as salami from the Ham & Cheese Company with coffee from Jack Coleman’s Coffee. A litre of wine from Toasted in Dulwich. Bread from Little Bread Pedlar or Brickhouse in Peckham or Cathedral loaf from Bread Ahead at Borough. I’ll get my vegetables from Brixton Farmers’ Farm and pasta from Italo deli in Vauxhall. I always go our of my way to get dukkah from Persepolis in Peckham run by Sally Butcher.